Book Review : There's Something About You. 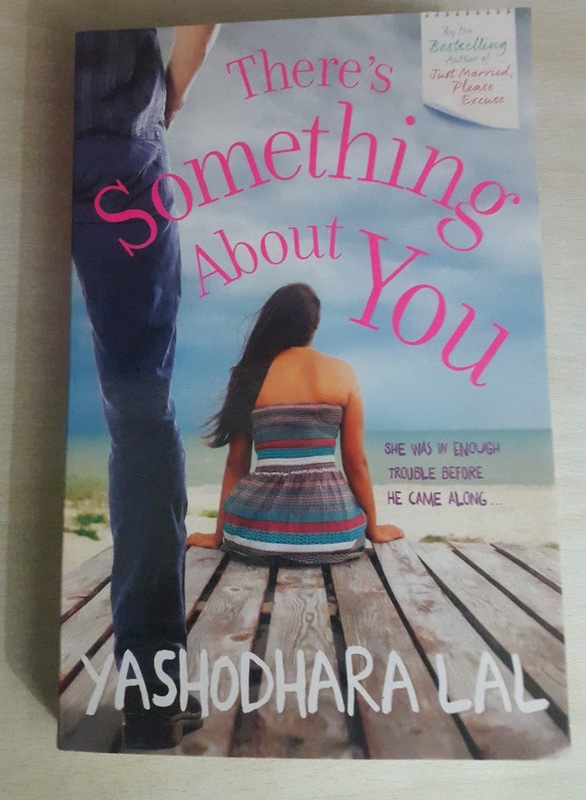 There's Something About You is a fictional love story by Yashodhara Lal. I have received this book published by Harper Collins India from Indibloggers. Apart from being the love story this book try to find some common sensical solutions to some nonsensical problems. Cover : Full marks to the cover. It hints to a love story along with creating a mystery around their characters. Sea beach scene indicts a coastal city which is perfect to refer the city of dreams Mumbai. Plot : A thirty year old single girl Trishna Saxena aka Trish lived in Mumbai with her Alzheimer suffering father and a nagging mother. She was content with her job in a leading publication which suddenly fired her from her job living her helpless in that big city. Unable to get a new job, she expressed her emotional and mental outburst in a part time assignment which changed her life for ever. Sahil entered her life at that moment and started easing her life situations. She found him connected to an incident happened in her life. How things turned out in between them? How she solves her friend Akansha's problem? The course of event changes to give readers an engrossing read to the relieved climax. Highs : I like the narrative style of the book. The question and answer part of the book is interesting and really made you think how silly we behave in dealing with some simple problems in our life. The book never bores you even at a single point thanks to the well maintained pace in the narration. The climax is good and satisfactory for me. The characters are believable and you feel a connect with them as story progresses. Lows : Half of the book revolves around only Trish which I think is an unnecessary stretching of the narrative without any interesting happenings at that time. I also missed some romantic moments between Trish and Sahil. Things are somewhat predictable. Verdict : Pick your copy soon if you want to read a different kind of love story while discovering a fresh look at life during your book reading journey. Rating : I would give it 4 out of 5. And I loved your review...short, curt and quick! Looks like an easy over weekend read!